Rev. 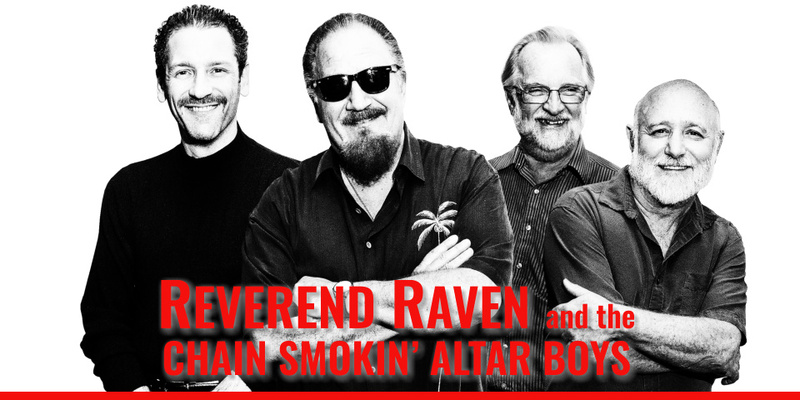 Raven & the Chain Smokin’ Altar Boys have been drivin’ the hi-ways & by-ways of the US of A for many the year, playing festivals, clubs and events, sidetracking to Blues Cruises in the Caribbean and South Pacific. Last performance at the BLUEStage was March 7th 2009. 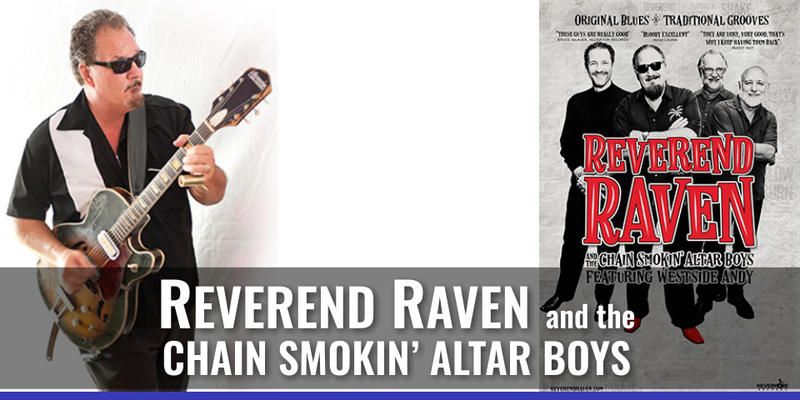 Since then he has elevated his status as a hard workin’ Blues Man that has become a staple in the touring ranks. He always puts on a highly entertaining show at every stop. We haven’t been able to match schedules since then, but finally, here it is!